The situation in the publishing of literature in Slovakia in the 1980s was, in retrospect, to a large extent determined and perhaps even determinedly constituted by the social and political backgrounds of the period which also formed the writer themselves – there were the same authors of literature and authors of books for children and youth, like the agents of works of nonfiction as well as literary scholars and critics. The socialist political system and especially the powerful and totalitarian communist government conditioned the many negative and destructive phenomena and tendencies not only in the context of the creation and publishing of literature, but also in the wider social and cultural context. The undemocratic and unfree decisions as well as the orders of the ruling elite, among which certainly, in the context of literature, also included a targeted enforcement program called “socialist realism” as the only correct and “progressive” manner or direction in the development of literature, generationally formed many writers, and their works are now a rather sad documentation of a period than the actual contribution to the wealth of national literature, art and cultural heritage. The 1980s Slovak literature carried, and even “improved” the cauterized mark of the past decade of “normalization” in the form of the application of the already mentioned socialist realism (also) in the literary works, for example, through the still persistent censorship, although not in such an exposed and ignorant way, as was the case in the 50s. Apart from the fact that censorship was officially abolished in Czechoslovakia after the suppression of reform efforts in 1968 to create a “model of so-called subsequent censorship, which applied from the beginning of normalization until 1989. According to the law, whatever was published in magazines, books or in other mass media correlated to relevant managers. If the inspection bodies found that a published item did not meet the ideology of the Communist Party, penalties were incurred in the form of removal from a managing function, the imposition of a ban on publication, but also threats of jail. It turned out that this “intimidation” type of censorship was very effective. It is also recalled that few Slovak literary works received after release a ban on distribution and were scrapped (Hochel, 2007). It was also quite common practice that if any of the state publishing houses was about to publish a book, “first there had to be elaborate testimonials from two experts. In the event that one of them recommended the work for publication and the other not, it was necessary to provide a third opinion. Naturally, this approval system not only ensured the artistic level of books, but was also a certain form of controlling ideological safety” (Hochel 2007). During the communist government in Czechoslovakia it was the state power that established a set of clearly defined rules and required their strict adherence, which of course also affected literature, where any manifestation of pluralism was expelled. (Alan Bitrich 2001). A large number of regulatory mechanisms were introduced, such as lists of banned works whose authors were persecuted, or the retraction of important, but non-conforming works from past public life. These measures may have subsequently caused the breakdown of publishing activities into three directions, which created official, state-accepted and controlled literature, secret or samizdat (underground) literature and foreign exile literature published outside of Czechoslovakia. 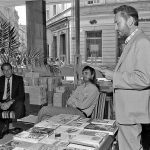 Regarding the official publication of literature in Czechoslovakia in the 1980s we can consider the writings supported by the communist regime, from which the communist authorities expected to aid. One of the main attributes of this official culture was mainly its mass, which perfectly suited the ruling party. At the same time, however, the function of literature was clearly defined. The representatives of the totalitarian regime sought to control literary work at several phases. At first there should have been the prevention of readers attaining unauthorized (inconvenient for socialism…) works and works of banned authors, also eliminated from the archives of libraries. Then there followed a personnel “cleansing” in publishing, after which entered “reliable party leadership” (in the Czech Republic, for example, Československý spisovateľ, Albatros, Odeon, etc. ), other publishers abolished in the end. (Janoušek 2012). Banned authors could only be “absolved” after the public rejection of the events of the 60s and their views from that time. (Janoušek 2012). The publishing of literature in Slovakia before 1989 can now formally consider and adopt perhaps the most significant of two dominant perspectives. The first level, which we call the schematic, inherently reflects and includes the creation of authors who cooperated, agreed and accepted the official orderly government of the communist system. In creativity, (partially or en bloc) there fully, consciously, “programmatically” applied the elements of socialist realism’s schematism (though no longer so powerfully anchored and orthodox, as in the 1950s), writing and in state publishing the publication of committed, not infrequently even propaganda texts, for which the state power also enjoyed many material benefits, not least social “prestige” as well. In this company there often found themselves included, unfortunately, also authors whose works otherwise proved a fairly high degree of artistic, aesthetic and philosophical erudition as well as talent (for example, the poets Vladimír Reisel, Pavel Bunčák, Vojtech Mihálik, partly also Miroslav Valek et al.). Of course, in some cases, “controversial” articles were also written by other writers, playwrights and literary theorists and scientists. The consolidation of literary life and the revitalization of the principles of socialist realism occurred gradually. (Pavligová 2012). The 1970s and 1980s were poetologically vague; most authors of the middle and younger generations did not publish (either of their own account or the state med it impossible for them), while the strict decay of the constitution to the late 80s and in the subsequent period slowly also developed the further process of differentiation and finding creative methods, up to – halted in the 1960s – postmodernism and absolute opening after November 1989 (Ibid). Generalizing, the paradigm of the second half of the 20th century regarding literature in Slovakia could seem thus, that “until the 1950s were marked by the spirit of preferences for an established style of writing generally known as socialist realism, in the Sixties (even though not determinatively conceived in 1960, but earlier in 1956), arriving with the recovery (post avant-garde, modern) of poetics, even maybe recording the first postmodern tendencies in some authors, but subsequently eliminated by the events associated with August 1968.” (Pavligová 2012). “On the other hand, most prose writers, poets and playwrights in the 1980s “required writing in the socialist realism method, which again a Marxist-oriented group of theorists and critics, bravely ignored.” (Hochel 2007). At the time of the most intensive and “toughest normalization of prose writers resorting to asylum themes (history, returns to childhood), poets developed more abstract forms of poetry with an emphasis on the ambiguity of poetic images. There was also exercised  within given possibilities  the normalization of pressure also faced by the more essential part of the literary critic (Vladimír Petrík, Albín Bagin, Peter Zajac, Valér Mikula and many others), which in the assessment of work refused to apply ideological criteria and exclusively used an aesthetic assessment.” (Ibid ). It is therefore evident that, for example in the works of prose writers Ján Johanides, Vincent Šikula, Rudolf Sloboda, Dušan Mita, poets Milan Rufus, Ján Buzássy, Ivan Štrpka, Štefan Strážay, Daniela Heviera or the playwrights Stanislav Štepka and Karol Horák, who “in the contemporary criticism of the 70s and 80s were perceived as values, there were remaining values also in the ‘new’ reality” (Hochel 2007). Finally, it is typically demonstrated, that the high hopes and expectations in Slovak literature after 1989 failed to arise, or at least not to the degree that many assumed or expected. We even record statements that paradoxically presented claims that before 1989 the situation for writers was nevertheless “lighter”, easier. In this context Ladislav Čúzy recalls: “I agree that in socialism it was “easier” to write (for both critics and writers), because if they wanted, they knew what were they writing against, and if they didn’t want to approvingly assent to the regime, thus to the extent possible, but which were not many, they indicated that in their texts” (Čúzy 1999). 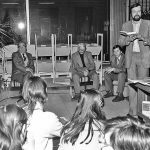 It is evident that the situation in Slovak literature during the decade from 1979 to the breakthrough year of 1989, the 1980s were particularly marked by a “seal” and reached the political decisions and regulations of the previous normalizing 70s. Otherwise it was not even in the realm of publishing professional literature and the work of representatives of contemporary literary scholarship. Namely at the start of the 1970s Slovak society was experiencing “in the signs of party checks, incoming consolidation, violent political decisions, which resulted in the paralysis of scientific research in all fields” (Tkáčiková 1999). For a long time literary science lost many figures, “several silenced, forced to change jobs, publication was forbidden for many. Political power directly managed scientific institutes, determining research priorities as well as conception and methodology. A purely political decision was the decision of the SAS Administrative Committee on the streamlining of social-scientific research from 1973, under which the reorganization and merger of the Institute of Slovak Literature and the Institute of World Literature and the language Slovak Academy of Sciences created the new workplace called the SAS Literary-Scholar Institute” (Ibid). This step permitted the “seemingly rightful clean method” of laying off a several literary scholars, such as Milan Hamada, Michal Gáfrik, Jozef Bžoch, Juraj Spitzer, Michal Nadubinský and others. (Tkáčiková 1999). During this period, there thus arose, along with publishing, several publications created “according to the congress conclusions and party resolutions” solely on political order: Břetislav Truhlář – Strana a literatúra (1971), Próza socialistického realizmu (1976), Literatúra a skutočnosť (1976); Valér Peťko – Výzvy a postoje (1977); Stanislav Šmatlák – Súčasnosť a literatúra (1975). (Ibid). In the given area the mid-80s is associated with the publication of literary historical syntheses, which were “the result of the multiannual effort of entire collectives and scientific research institutes” (Tkáčiková 1999). On laying out the context it can be argued that in the 1980s three types of synthesis appeared in the book market: “the scientific ‘academic’ History (1984), the third volume of the pedagogical History as a university textbook based on SPN (1983) and the popular-educational type of history similar to the third amended one issued by the publisher Obzor (1984)” (Tkáčiková 1999). In the first half of the 1980s there were published many “serious book-length monographs books attempted a personal, individual view of more coherent literary-scholarship issues. Space for this type of literary scholarship publications were provided by Tatran publishing within the Okno series. In 1983, for example, it issued Števček’s work Moderný slovenský roman, which did not want to be a comprehensive synthesizing work on the development of the Slovak novel, tracking the early detection of the internal logic of the genre’s development” (Ibid). In 1983 Milan Šútovec became the managing editor of the scientific journal Slovak Literature, replacing Rudolf Chmel in this position. He later also met with Chmel in the journal Slovenské Pohľady, where in 1988 Chmel took up the position of editor-in-chief, and Šútovec as editor along with Valer Mikula, Hana Sucha, and Peter Uličný and M. Vyskočilová. It was precisely this editorializing that became “a strong tribune of opposing views towards official cultural policy” (Tkáčiková 1999). In today’s context it seems bizarre, perhaps shocking fact that after Šútovec was appointed as the managing editor of Slovak Literature, Šútovec devoted the first issue of this journal to the 70th birthday of Gustáv Husák, who brought “ideologically more than literary scholarship oriented studies” of Z. Holotíková, Z., I. Kusý and F. Mika. (Ibid). At the end of the 1980s “two significant literary scholarship syntheses arrived along with the permanent opening of the doors to modern science. The first was Števčeková’s Dejiny slovenskej literatúry and Dejiny slovenského románu.” (Ibid). During this period only state publishers were active (they had to be …), although in parallel there also operated “alternative” illegal publishing houses that published books by state-banned authors, such as the Czech writer Ivan Klima and later president Vaclav Havel, Pavel Kohout along with Slovak authors Dominik Tatarka, Ivan Kus, Ivan Kadlečík, Milan Šimečka and others. The most important samizdat representatives operating in the territory of Slovakia were closely focused on the Prague center Charter 77, which also allowed for more international exposure: D. Tatarka, M. Šimečka, I Kadlečík, P. Hrúz, K. Kusý. H. Ponická and gradually younger followers; M. Šimečka Jr., O. Pastier, J. Olič, I. Hoffman. Their texts were most frequently promoted in Czech underground publishing as well as emigration centers and journals (e.g. Horizont in Munich and Sixty Eight Publishers in Toronto). (Marčok 2004). 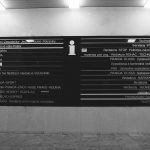 Outside Bratislava “there were presented a group of creators with the crypto – recessionary name the Forest Singers, who lived in Košice. The leading figure of the association was the poet and essayist M. Strýco, from the major writers lived who was included poet and publisher E. Groch as well. In addition to informal text – appeals, they were able to join forces to also publish two anthologies called Trinásta Komnata and Nacelle. Their texts and prohibited printing were smuggled abroad amounting at that time to a type of so-called unofficial or alternative circulation. In the literary underground there also acted “uncontacted” individuals, among whom we can include the writers and literary critics: J. Bžoch, M. Hamada, P. Karvaš, J. Silan, P. Strauss, and also the Bohemian group of authors gathering in the U Michala cafe, who mainly specialized in the oral or handwritten spreading of texts: M. Herko, K. Pém, P. Telúch… (Ibid). The main features of a dissident alternative formation can be considered: program anti-literalness, radical/uncensored autobiographism, shifting texts into positions of voyeuristic obscenity, self-irony, recession and grotesque, blending of genre procedures, tending of texts to happening action moving and improvising as well as expansion – spherical multi-layerity of meanings and finally, the demonstratively anti-literary “bad” or “inappropriate” language (Marčok 2004). Another not any less known and agile alternative publishing house during the totalitarian 80s in Czechoslovakia was certainly Sixty-Eight Publishers (68P), which was founded in the fall of 1971 in Toronto, Canada, by novelist Zdena Salivarová-Škvorecká and her husband, former Odeon publishing editor, writer and translator, Josef Škvorecký. The company was formerly owned by both spouses, but in 1977 the publishing house adopted a “non-profit company” status, i.e. a non-profit company under public control operated by the Management Board with a President, the Canadian bohemian Harold Gordon Skilling. At the same time, the Škvorecký spouses founded the company Prague Typesetting, with the main focus on the typesetting of books and periodicals published in non-English languages, and later in offset printing. The publishing house ceased its operation in May 1994. (Přibáň 2003). Sixty-Eight Publishers issued a total of 224 titles (out of 227 numbered publications, volumes no. 94, 196 and 204 did not come out). Annual production first fluctuated at about six titles, later ten and more publications were published annually. The first volume was printed in the Polish printing house Uncle Gutenberg Press in Toronto, a few more in Belgium (Rosseels Printing Louvain), from the mid-70s to the 68P publication were again printed in Toronto (Web Offset i.). The aim of the 68P Publishing House was to create facilities especially for the majority of Czech and Slovak authors and readers who went into exile after 1968. Fiction and nonfiction prevailed in the editorial agenda. The publishing house, however, was also interested in memoirs and later in the work in the field of literary criticism and history. Order catalogues from the 68P production were originally divided into titles of the Book Club (also referred to as the Prose Club) with membership prices for subscribers and into other publications, but later editors desisted from this practice. The long-term scheduling of 68P production into conceptually free editorial lines (or circuits) was designed primarily by genre definition and what was intended to help the readers with quicker orientation in the offer sheets and catalogues. The edition titles were therefore highly variable (Poetry Club, Rank of Verse, Illustrated Rank; the Sixties, etc.). (Ibid). But the Slovak – not only literary – dissent was also active during this period. 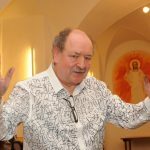 On April 14, 1981, the ruling communist authorities deprived the leading representative of the Catholic dissent, Ján Čarnogurský, of his advocacy. On July 1, 1985, discussion of the reflection by Miroslav Kusý called Slovak Phenomenon took place in the apartment of dissident philosopher Július Strinka in Bratislava. Known is the case of September 12, 1985, when the District Court in Banská Bystrica recognized Stanislav Fila and Milan Jamrich guilty of the crime of sedition as accomplices. “They supposedly committed it by spreading Listy magazine within the circle of their acquaintances, published by the emigrant Jiří Pelikán, literary article by Milan Šimečka Restoring Order and Orwell’s novel 1984 ‘due to hostility towards our social and state system’. The Court imposed the sentence of imprisonment on them for 10 months, conditionally suspended for two years. The condemned and the prosecutor appealed. 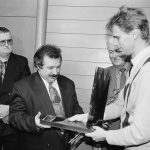 On November 21, 1985 the Regional Court in Banská Bystrica sentenced Fila and Jamrich to unconditional imprisonment for six months.” (Barnovský et al. 2007). Slovak dissident activity was in no way organized or institutionalized, which was ultimately confirmed by Martin M. Šimečka, son of the mentioned writer, philosopher and journalist Milan Šimečka. Daily SME said, “I think there was no ready program that would rely on the fall of the regime. Dissidents were rather people who exercised their right to personal liberty in this way. I think the notion of some organized changes is a myth. Dissidents were actually rebels against the system because they had no other option, and moreover, in the case of the Catholic dissent, it was the people whose religion was taken away by the state.” (Tinková 1999). 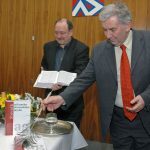 In connection with publishing activities in Slovakia in the 80s, the incident from July 1988 when the Christian opposition activist in Slovakia, Ján Čarnogurský, issued the first volume of the samizdat magazine Bratislavské listy, is not negligible either. “He set out a goal in it to ‘create a space to freely discuss problems of society and the future development alternatives.’ (Barnovský et al. 2007). At the same time, Catholic dissident Ivan Polanský was sentenced in Banská Bystrica for alleged subversion of the republic and publishing of samizdat. (Ibid). Samizdat literature, in addition to the above outlined political situation in the society, was substantially affected by Charter 77, as a symbol of dissent and transparent resistance against non-free mannerism of the ruling garniture not only in literature, art, and culture. Samizdat was a natural act and “grew” from the negative social demand. Today, the literary works published in samizdat don’t have to be considered “alternative,” underground, isolated, on the contrary – they were an organic part of the literary culture of the time and include some of the works that implicitly belong to the precious cultural heritage of our literary and cultural history. The first of the essential milestones and turning points in the possibilities of a more flexible and free publication of literary creation in the wider media space (not only) in Slovakia was undoubtedly 1989, which offered a long-awaited chance and an opportunity to finally “create freely” by changing the political situation in Eastern Europe. Said expectation constituted the “perception of the current situation as a ‘transition,’ as ‘being on the verge of’ something new while the concept of crisis played a vital role in it.” (Taranenková 2009). “We are reminded of most historical events usually only by a single date that represents a breakthrough, either in the social system, the political line, or in the life of mankind in general. Similarly, even though November 17, 1989 was only one day on the calendar, it condensed the changes in the socio-political climate which ripened in a much longer time horizon, before and after it. Both on the international as well as domestic scene.” (Žatkuliak 2014). Logically, the changes in social, political and cultural environment did not skip Slovak literature either. Perhaps even the Budmerice writers’ meeting may appear today as a precursor to the “warming” or hint of an impending change in literature. In the spring of 1989, a meeting of Slovak writers took place in Budmerice, which “was one of the stimuli reviving the literary life blocked for decades after a long period of enforced intellectual quarantine.” (Matejovič 1996). The papers presented at the conference, or those that preceded it (Zajac, Jenčíková, Šútovec et al.) “became virtually the only deeper current analyzes mapping the situation in Slovak literature for a defined time period for a long time.” (Ibid). It is undisputed that the year 1989 was a major, if not the only defining moment for the further development and direction of original Slovak literature, not only in the modern history of Slovak literature, but also art. The mentioned breakthrough moment of the transformation of social, political, and consequently and also the cultural movement in Eastern Europe is currently accepted by literary critics, theorists and historians as a strong and significant breakthrough introducing new, wider and even more free space for the work of writers in Slovakia as well as the changing social and political situation. And so national and original Slovak literary creation found itself in a new situation, logically starting to be defined, inherently specified and also seeking its “face,” its own “diversity (in) a relationship.” According to many historians, literary theorists and critics, 1989 was truly groundbreaking in Slovak literature. Zajac proclaims that in original Slovak literature there was certainly a “breakthrough in the field of literary operation” (Zajac 1999). He justifies this statement with the argument that direct and indirect censorship was canceled. “Works of literature, as well as works previously published only in samizdat and exile reached public literary circulation. A series of small private publishing houses was created with the support of non-governmental foundations and sponsors or the Pro Slovakia State Fund.” (Zajac 1999). After 1989, the literary life started to vary in Slovakia: “several writers’ organizations were created. Despite all liquidations after 1992 (Kultúrny život, editorial of Slovenskaé pohľady) and the absence of state support (Fragment, Rak), a differentiated a magazine and book market was created” ( Zajac 1999). A transitional period occurred generally, or somehow naturally in Slovak literature after 1989, which was noticeably marked by a sort of indefinable waiting for works that should have now been published in a spirit of freedom, and therefore without contemporary, political censorship. Suddenly it was possible to present the authors who had difficulty publishing or were completely prohibited from it in recent years for various reasons; authors who didn’t want to publish at the time could also finally present their free work. Authors accepted the fact that they finally were free to comment on anything that the old regime tabooed, and write without an ideological dictate or self-censorship (Petrík 2003 – 2013). Petrík, however, also points out that a new situation radically changed the position of the author (and literature) in society. During the totalitarian regime the writer had it easier: they either agreed with the regime or not, and then looked for a way to make their opposition clear in the literary work (Ibid). “The readers literally waited for such signals in every work. And the bolder the writer was (and the more liberal the regime was), the greater the effect their work had. So it was with Tatarka’s pamphlet Démon súhlasu (Demon of Consent) or Mňačko’s Oneskorené reportáže (Delayed Reports). This unwritten contract between writer and reader (at the expense of the regime) no longer applied after 1989 and it was necessary to implement a new one that was just being sought.” (Petrík 2003 – 2013). Miloš Ferko reflects on the period in 1989 and shortly after in Slovak literature through the creation of opportunities for young authors. The revolution in 1989 created the opportunity and opened the way for young Slovak beginning authors, who perceived and in their work acknowledged the new situation as an autonomous reality, and not through the prism of what was before. Ferko, however, points out that “unconsciously, memories of before from their childhood still remained. Memories that prevent the full deployment in the ferocious rolling of today, predatory rolling, which the ones who are a few years younger, the real children of the New Age, are the real masters of. (Ferko 1999). Writers after 1989 acquired a different status in Slovakia and lost a representative role (originally accented by official state power), the position of the dissident author not effective anymore either. But let’s not lose sight of the fact that the representative office is associated with the status of literary authors more or less intensely at all times.” (Grochalová 2012). The participation of literary creators on “tours”, various festivals, or presentation using a website, etc, has become a matter of fact. (Ibid). The expectation of a major topic, book or author wasn’t materialized in the end. Although some authors partly brought a whiff of freedom in their writings shortly after 1989, but mostly there was no pronounced personality on the Slovak literary scene who would be “born from freedom” and represent a new sheer and liberating poetry, hard look, new artistic, philosophical, and also aesthetic values which may be considered breakthrough, significant, and armorial in connection with the time and the new possibilities. The literary situation in Slovakia in the aftermath of the November revolution cannot be described as a “closed process, it cannot be definitely stigmatized.” (Matejovič 1996). However, even Matejovič is increasingly skeptical in the final finding when he says that “those who believed that with the change of the political system, there will also be adequate qualitative changes in literary life, must be disappointed. They must be disappointed and those who put their hope in the younger generation and the associated changes in value perspectives.” (Ibid). In relation to Matejovič’s previous claim, the words of Igor Hochel may seem bizarre: “The fact that the young, rising writers who responded perhaps more flexibly than established authors, also by searching for new themes, artistic techniques and means of expression utilized the new conditions of existence of literature and publishing experience soon after 1989, should be evaluated positively” (Hochel 2007). Diametrically opposed views on one aspect of the post-revolution development of Slovak literature shows, or at least indicates, quite transparent ambivalence in the field, which is determined first of all by (positive) time lapse in the case of Hochel (2007), and perhaps by too much bias and inability of some “distant” insight and thus a holistic assessment of the issues in the case of Matejovič (1996). In this case, Šrank’s opinion that “writing about the transformations of our literature for the last nearly twenty years is difficult, almost absurd. It is fundamentally complicated by the short time lapse and a continuous barrage of literary facts” is inspiring and somehow also unifying. (Šrank 2013). The end of the 80s in the context of the publishing activity in Slovakia was quite logically marked by the coup in 1989 and the resulting and forming situation affected the subsequent period in the areas of literature. In a short time “once the relevant legislation was created, private publishing houses were established and some national ones transformed into joint stock companies.” (Hochel 2007). As an example of progressive publishing efforts in Slovakia after 1989, Hochel mentioned L. C. A. (Koloman Kertész Bagala), Q111, Modrý Peter, Slovenský Tatran, Petrus, Kalligram, Vydavateľstvo Spolku slovenských spisovateľov, Hevi, Solitudo, Drewo a srd, Knižná dielňa Timotej, Slovenský spisovateľ, a. s., Tranoscius, Vydavateľstvo Matice slovenskej and many others. Currently there is a “multitude of publishing houses operating in Slovakia, but the greater part of them wears out its activities solely in the interests of economic success, and so even if they publish original Slovak literature, they focus only on titles of a commercial nature. (Hochel 2007). To some extent, Hochel’s assertion is confirmed by the recent successful publisher Albert Marenčin whose words are a sad statement that even today. Almost twenty-seven (!) years since 1989, the situation in the publishing of original Slovak literature, but also literature in general, has not radically improved in Slovakia, rather the contrary. “The Slovak market is small, most publishers surviving on bestsellers. From them they are able to function while at the same publishing “bread” books, known as the dairy cows. Those hold us up until another bestseller comes in a year or two. But while in the German and English market these are circulated in millions, here it is just tens of thousands” (Marenčin, 2013 for Daily SME). When asked how many books an editor in Slovakia now has to sell for publishing to be profitable, he said: “If two thousand copies are sold, we break even, when three thousand and more, we thus have a profit. But sometimes we also publish a losing, but high-quality book, and I take it as a relatively inexpensive advertising. It can be said that thanks to such books we have made a name in these last 20 years, and in turn, a market position thanks to the bestsellers” (Ibid). ALAN, Josef, BITRICH, Tomáš. 2001. Alternativní kultura: příběh české společnosti 1945 – 1989. (Alternative Culture: The Story of the Czech society 1945 – 1989) Lidové noviny : Prague. 2001. 610 p. ISBN 80-7106-449-1. p. 10 – 11. BARNOVSKÝ, Michal et al. 2007. XIII. Od ľudovej demokracie po pád komunistického režimu. (From popular democracy to the fall of the communist regime.) (1945 – 1989). In: Dejiny Slovenska. Dátumy, Udalosti, Osobnosti. (History of Slovakia. Dates, events, personalities.) 2007. 1. Slovart Bratislava and Libri Praha publishing houses. ISBN 978-80-8085-596-3. 882 p. p. 649, 650, 657, 658, 667. ČÚZY, Ladislav. 1999. Literatúra sa neráta na roky. Trialóg o literárnom roku 1998. (Literature does not count the years. Trialogue on literary year 1998.) In: Literika. Vol. IV., issue 2, p. 6, 8. ISSN 1335-180X. FERKO, Miloš. 1999. Literatúra sa neráta na roky. Trialóg o literárnom roku 1998. (Literature does not count the years. Trialogue on literary year 1998.) In: Literika. Vol. IV., issue 2, p. 3, 8. ISSN 1335-180X. GROCHALOVÁ, Zuzana. 2012. Mapovanie inštitucionálnych a organizačných platforiem pre začínajúcich autorov I. Selektívna reflexia možností debutujúcej generácie s prepojením na poľskú a českú scénu. (Mapping the institutional and organizational platform for beginning writers 1st Selective reflection of the debuting generation’s options with links to Polish and Czech scene.) In: Dotyky. Vol. XXIV., č.1, s 38. ISSN 1210-2210. HOCHEL, Igor and Ladislav ČÚZY and Zuzana KÁKOŠOVÁ. 2007. Slovenská literatúra po roku 1989. (Slovak literature after 1989.) Bratislava : Literature Information Centre. ISBN 978-80-89222-34-6. p. 12, 15. JANOUŠEK, Pavel. 2012. Přehledné dějiny české literatury 1945-1989. (Synoptic History of Czech Literature 1945-1989.) 1. Academia Publishing House : Prague, 2012, 487 p. ISBN 978-80-200-2057-4. p. 298, 299. MARČOK, Viliam et al. 2004. Dejiny slovenskej literatúry III. (History of Slovak literature III.) Bratislava : Literature Information Centre. ISBN 80-88878-87-X. p. 52. MATEJOVIČ, Pavel. 1996. Viac odvahy k premýšľaniu. (More courage to think.) In: RAK. Vol. 1., 1996, issue 1, p. 17, 19, 20. ISSN 1335 – 1702. MATEJOVIČ, Pavel. 1996. Viac odvahy k premýšľaniu. (More courage to think.) In: RAK. Vol. 1., 1996, issue 2, p. 28. ISSN 1335 – 1702. PETRÍK, Vladimír. 2003-2013. Súčasná slovenská literatúra. Po roku 1989: hľadanie dohody medzi autorom a čitateľom (Contemporary Slovak literature. After 1989: The Search for an Agreement Between the Author and the Reader). [online]. Bratislava : Literature Information Centre. [quot. 2011-11-22]. Available at: http://www.litcentrum.sk/31662. ŠRANK, Jaroslav. 2013. K Hochelovmu prehľadu slovenskej poézie po roku 1989. (Regarding Hochel’s overview of Slovak poetry after 1989.) In: Kapitoly k súčasnej slovenskej literatúre. (The chapters on contemporary Slovak literature.) Bratislava : Issued at his own costs for study purposes. ISBN 978-80-971308-5-5. p. 30. TARANENKOVÁ, Ivana. 2009. Slovenská literatúra po roku 1989. (Slovak literature after 1989.) In: Je to tak Monde diplomatique. (It is so, Monde diplomatique.) [online]. [quot. 2012-11-5.] Available at: http://www.jetotak.sk/autonomna-zona/slovenska-literatura-po-roku-1989. TKÁČIKOVÁ, Eva. 1999. Peripetie literárnej vedy v sedemdesiatych a osemdesiatych rokoch. (Peripetia of literary studies in the seventies and eighties.) In: Literika. Vol. IV., issue 1, p. 46, 47, 48, 49, 50. ISSN 1335-180X. VACULÍK, Ludvík. 1987. O Petlici zámku Švarcenberku. In: Acta. Quarterly Czechoslovak Documentation Centre for Independent Literature, 1987, Vol. 1., issue 3-4, p. 36 – 40. ZAJAC, Peter. 1999. Prelomové či svoje. Skica o slovenskej literatúre deväťdesiatych rokov. (Groundbreaking or ours. Sketch of Slovak literature of the nineties.) In: OS, Civil Society Forum. Vol. 3, issue 2, p. 74, 75, 76. ISSN 1335 – 2296.